In the “Open World” blog series we already covered what the Caligari Sector looks like and what its subsectors represent in Warhammer 40,000: Inquisitor – Martyr. Before zooming in any further, let’s take a moment to explain how exactly these spaces work in terms of gameplay and narrative, how these layers work together to create a seamless and rich gameplay experience. 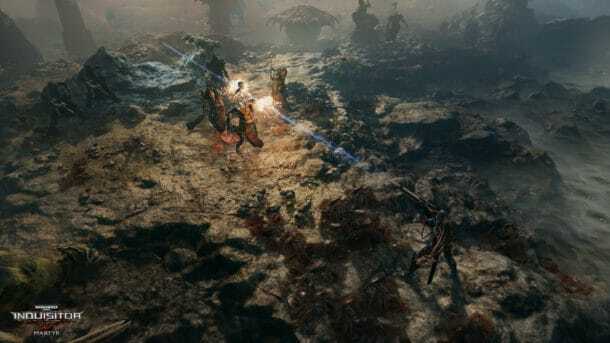 “Warhammer 40,000: Inquisitor – Martyr is an open world sandbox ARPG focusing on the Inquisitors who are roaming the remote, mysterious and vast Caligari Sector. They will strike down the vile foes of the God-Emperor of Mankind, while they explore the open world and wander around the Star Map. The Star Map is the most important section of the game, a beautifully crafted visual representation of our very own sandbox region in the Imperium of Man. This is the hub where you can see all the missions that you, the agent of the mighty Inquisition can access. The range of available missions is large: you can always jump into shorter stand-alone assignment with random maps and random generated objectives, chosen from a list of more than 50 tasks. And that’s just the beginning – sometimes you’ll uncover clues during your missions that will lead to another assignments, and these chains of random mission build up to longer investigations. There are also the Grand Investigations, complex mini-campaigns specifically written to shed light on some particular aspects of the background world. And of course there is the most significant investigation of all, the exclusively single player campaign set on the abandoned decks of a mysterious fortress-monastery, also accessible from the Star Map. The Caligari Sector is a vast open area that consists of numerous subsectors and a huge number of systems. The Sector is entirely our own, with its unique perks (like the Warpsurges, our own versions of Warp-anomalies), history and plot, but it’s also part of the Imperium of Man, a genuine WH40K sector that contains everything you can expect in the grimdark world of the Gothic future. The game begins in one of the subsectors, but the sector and the Star Map will be unlocked gradually, following a slowly unfolding storyline. In due course, several smaller DLCs and two large expansions will broaden the game – not to mention the Seasons, which are free content patches with a very strong central theme, launched regularly. All expansions, DLCs and seasons serve the same purpose: to keep the universe alive and provide new challenges, fresh content and also new areas to explore… and purge, of course. Seasons are extremely significant as they will introduce new enemy types – new races, new factions, new conflicts, new investigation that fill out the background of the season. Seasons will run for a certain amount of time and then they will be resolved, depending on how the Inquisitors of the Caligari Conclave decide on certain matters. I suppose at this point our intention must be quite obvious – we are planning to turn the Caligari Sector into a dynamically changing world, where the events of the consecutive seasons move the grand plot forward and players can also influence the history of the sector. During certain milestone events the community as a whole will affect the outcome through individual and personal decisions as the members of the Inquisitorial Conclave. The Conclave shows a united front, but in reality it is an assembly of different power groups following different goals. In order to reflect that, player Inquisitors can also form groups, smaller orders that have their own agenda. 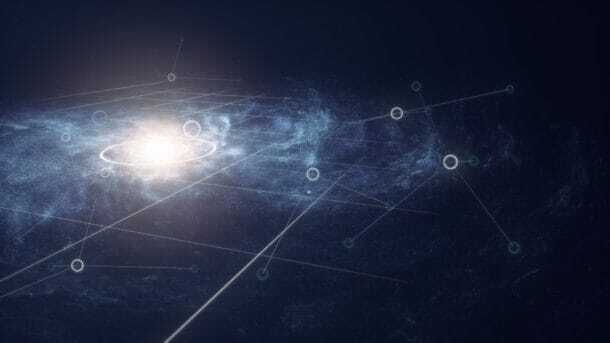 As a result, the Star Map is far from static: various factions populate the subsectors, and as the plot moves forward, these powerful groups can gain strength or loose influence. Inquisitors, obviously, play an integral role in this dynamically changing world by completing missions, participating in community events and fighting for the Imperium. Players can gain fame and influence in certain areas and get important titles; they can unlock new areas to discover and become part of the official history of the Sector as heroes.